Corrections, comments and suggestions welcome. 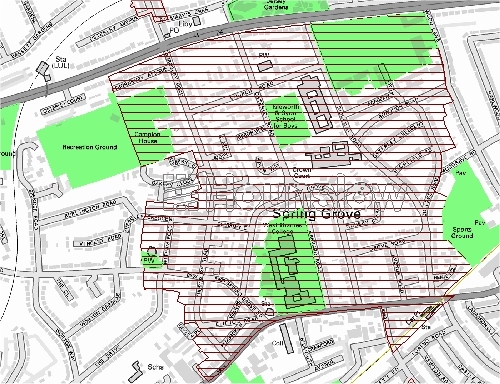 The Spring Grove Conservation Area was first designated as such by Hounslow Council on 18th April 2002 (see Hounslow Council Conservation Areas Notice and Spring Grove Conservation Area Notice). The main implications for residents are special requirements for planning within the Conservation Area. 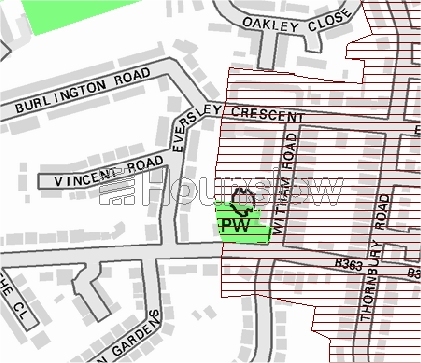 The Conservation Area includes the eastern end of the SGRA area, including Spring Grove Road from the western end of the grounds of St. Vincent’s church, the north end of The Drive, the whole of Witham Road and Eversley Crescent from the western end of Brooklands.